Welcome to the world of Ansals - the name that has introduced new concepts of a modern lifestyle. Ansals now bring to the people of Gurgaon and outsiders..
Any business, after all, is based on customers. With its convenient location and luxuriant ambience attracting property seekers, Sushant Lok-II is all set to offer smart investors a virtual blue chip investment - Navkriti Arcade. The exclusive commercial nerve centre of a self sufficient mega township of the future. Which means that the affordable commercial space available here today, will appreciate substantially with time. 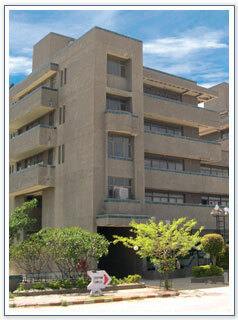 Fourth Floor : 1250 to 1420 sq.ft.